Beginning work with consciousness, dreams, or shadow work can often produce a disturbance in ones reality. Many people who aren’t ready for it just say it’s utter nonsense and refuse to even take a look. Looking into that part of oneself that is largely unconscious can be disconcerting, confusing, and sometimes frightening. It’s not something to be entered in on lightly because the journey will take you to places you didn’t even know were there and this will over time transform your life–it will literally shift your reality. Because of my fascination with mirrors and the perspective on reality that they present, I have a device that I purchased some time ago called a Pseudoscope. When looking through it what is seen shifts with the right eye seeing what the left should and vice versa. In this way the background becomes the foreground, convex becomes concave and the brain begins to fight with the senses for a new reality and creating an uncomfortable disturbance. Typically the brain tries to suppress the new reality, the new interpretation of space that is revealed. This has become my waking life metaphor for what can happen when exploring a new reality as it is revealed through the interpretation of dreams, meditation images, and mindful awareness. Most people will make the shift and find that it enhances their experience of the world, but a few will experience great difficulty, especially those who have habitually resisted new input in their lives. As with anything that you want to master, “practice makes perfect” or at least it makes you better at it. Many people who start to explore the usefulness of dreams find that they begin to remember more dreams. As one develops a greater understanding of symbols and metaphor they also begin to see the world as a much richer experience than they ever thought possible. As one expands their awareness input beyond the basic five senses a broadening transformation happens, subtle at first, but growing as one develops greater skill. And transformation is an interesting phenomenon in that when it happens it spreads not only within the present moment but both forwards and backwards through time so that former understandings seem almost quaint in retrospect and are understood differently. 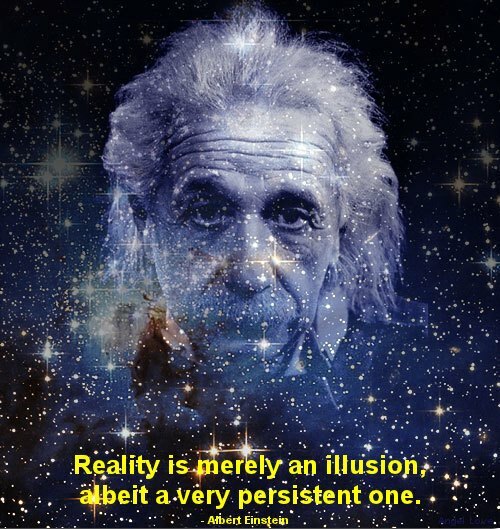 This of course effects not only the present, but also the future relationship with reality as well. 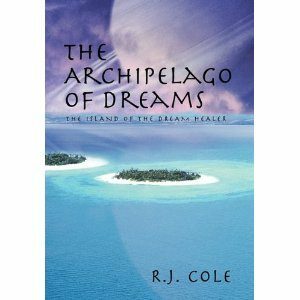 In the novel, The Archipelago of Dreams* Robert experiences this transformation and expanded awareness and in the How-To book, The Dragon’s Treasure* one can learn the particulars of the transformation process. “The term ‘Easter’ is not of Christian origin. of the Chaldean (Babylonian) goddess…. In many cultures, the egg is viewed as the symbol of new life. It is, after all, the perfect example of fertility and the cycle of rebirth. In early Christian cultures, consumption of the Easter egg may have marked the end of Lent. In Greek Orthodox Christianity, there is a legend that after Christ’s death on the cross, Mary Magdalene went to the emperor of Rome, (Tiberius Caesar) and told him of Jesus’ resurrection. The emperor’s response was along the lines of “Oh, yeah, right, and the egg in your hand is red, too.” Suddenly, the egg turned red, and Mary Magdalene joyfully began preaching Christianity to the emperor. The idea of a mystic egg spread from Babylon to many parts of the world. In Rome, the mystic egg preceded processions in honor of the Mother Goddess. The egg was part of the sacred ceremonies of the Mysteries of Bacchus. The Druids used the egg as their sacred emblem. In Northern Europe, China and Japan the eggs were colored for their sacred festivals. The egg was also a symbol of fertility; Semiramis (Easter) was the goddess of Fertility. The Easter egg is a symbol of the pagan Mother Goddess, and it even bears one of her names. As for the Easter egg hunt, a fun game for kids, actually has a darker meaning, For centuries pagans due to Because of centuries of religious propaganda and misinformation, Pagans were once killed for their Religious belief. As Christianity rose and the ways of the “Old Religion” were shunned, people took to hiding the eggs and having children make a game out of finding them. This would take place with all the children of the village looking at the same time in everyone’s gardens and beneath fences and other spots. It was also customary to leave food and drink out for the fairies on the nights of festivals, and it is believed that if the fairies were not honored with gifts at these times, they would work mischief in the lives of the town folk. Mary Magdalene and the red egg (see above) was not the earliest example of an egg as a spring symbol. In Persia (modern day Iran), eggs were painted for thousands of years as part of the spring celebration of No Ruz, the Zoroastrian new year. Today in Iran, the colored eggs are placed on the dinner table at No Ruz, and a mother eats one cooked egg for each child she has. The festival of No Ruz predates the reign of Cyrus the Great, whose rule (580-529 BCE.) marked the beginning of Persian history. There are some claims that the original Easter eggs were Pagan symbols from Europe, but there’s little evidence to support this. Instead, it seems to be a more middle-eastern tradition. However, in Europe there may have been a goddess named Eostre, whose name gave us both Ostara and Easter. The Saint Bede, known as the father of English history, described Eostre as a goddess with fertility associations, which loosely connects her to both rabbits and eggs. Author Jacob Grimm (of Grimm’s fairy tales) suggested that eggs were a symbol of early European Paganism. In some early cultures, the nocturnal hare was actually considered a symbol of the moon. In addition to feeding at night, the hare’s gestation period is approximately 28 days — the same as a full lunar cycle. In European folklore, the rabbit connection to eggs is one based on confusion. In the wild, hares nest in what is known as a ‘form’ – basically, a nest for bunnies. When the hares abandoned a form, it was sometimes taken over by plovers that would then lay their eggs in it. The locals would then find eggs in the hare’s form. The character of the “Easter bunny” first appeared in 16th-century German writings, which said that if well-behaved children built a nest out of their caps or bonnets, they would be rewarded with colored eggs. This legend became part of American folklore in the 18th century, when German immigrants settled in the eastern U.S.
Today, the Easter business is a huge commercial venture – Americans spend nearly $1.2 billion a year on Easter candy, and another $500 million on Easter decorations each year not to mention the average of $26.11 spent on special Easter clothing per each celebrant. Up to 700 million Easter “Peeps” and 57 million Easter cards are sold today during the Easter season as well. The rabbit is well known as a sexual symbol of fertility. In various parts of the world, religions that developed from Babel also associate the rabbit with cycles, both human and lunar (Egypt, China, etc.). As you may remember, the Mother Goddess Semiramis (Easter) is associated with the Moon. In other words, the Easter bunny sometimes symbolizes the Mother Goddess. Springtime fertility rituals were associated with worship of the Mother Goddess and Tammuz, the reincarnation of her husband Nimrod. And at Ostara, it is customary to leave something sweet (honey, or mead, or candy)–could this be connected to the Easter basket tradition? To see a chickadee in your dream indicates that you need to pay attention and become aware of something unique and special occurring in your life. To dream of the season of spring, suggests new beginnings and creative endeavors. It is also a symbol for warmth, virility and fruitfulness. To see green fields in your dream (often represented by green grass in an Easter basket), symbolize great abundance, freedom, and happiness. You may also be going through a period of personal growth. To see a basket in your dream, symbolizes the material body. It also represents the things that you are holding onto.